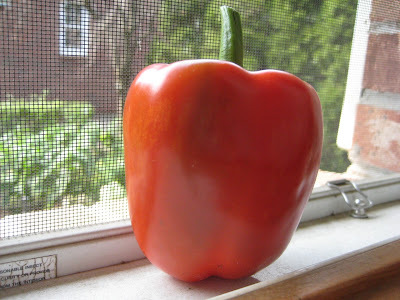 The first red pepper of the season was ready in the garden today. It is so lovely I can hardly stop looking at it. Hopefully there are more to come. BEAUTIFUL!!!!!!!!!!!!! You are a GREAT GARDENER!!! it looks like i could just reach out and bring it off the computer and have a bite! !